Borchers OM Group is a global leader in coating additive products. With hundreds of formulations available, the company sought a fast, mobile way for manufacturers to find the right product to meet their needs. Dennison developed a mobile phone app that allows formulators to quickly find the right Borchers OMG product based on end-use application. 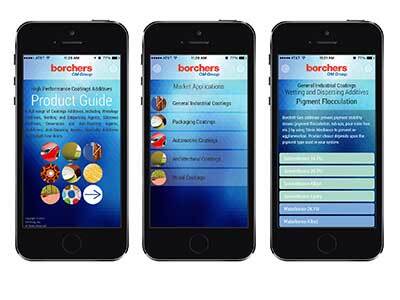 Whether looking for gloss control, better surface appearance or scratch resistance, the user-friendly app links Borchers OMG customers to the company’s products with speed and efficiency. The app launch was supported with ads, literature and e-blasts to announce its availability.